Organic Cedar Shower Gel is produced by the Russian beauty brand Planeta Organica. It is formulated with organic cedar oil. The shower gel helps to restore your skin’s natural protective properties. It protects your skin from moisture loss and makes it smoother and silkier. The product provides long-lasting protection and gentle care. Free of synthetic colourants, sodium lauryl sulfate (SLS), parabens. Not tested on animals. Ingredients. Aqua, Cedrus Deodara Wood Oil, Lauryl Glucoside, TEA-Cocoyl Glutamate, Cocamidopropyl Betaine, Decyl Glucoside, Glycerin, Schizandra Chinensis Fruit Extract, Hippophae Rhamnoides Extract, Cellulose Gum, Parfum, Citric Acid, Benzyl Alcohol, Benzoic Acid, Sorbic Acid. 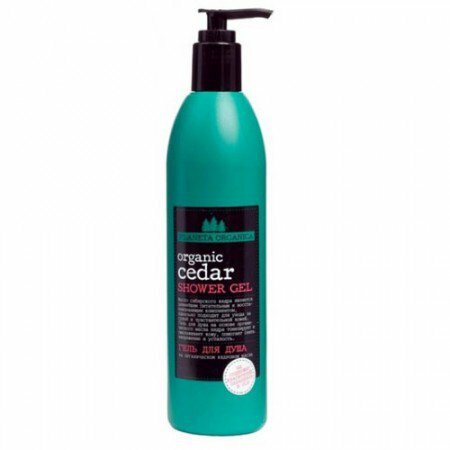 Want to buy Organic Cedar Shower Gel? Call us or submit your order via our web site!